Referral sales eliminates the agony and despair associated with poor performance. I observed countless sales staffs complaining about poor floor traffic, flooding the floor, poor inventory, lousy appraisals and grosses, and opening complain about not making any money. I never wanted to remotely become a part of that group. My referral sales kept me too busy to complain and I was enjoying cashing fat pay checks. Alex says, You want happy satisfied owners so that any mention of an automobile or your service, they automatically think of YOU and thus refer their friends, family and colleagues to YOU. Find out how Alex manages his sales so that he consistently has referral sales from his owners. Generating a referral from an existing, orphan or conquest source requires great skill, finesse, patience, and a reguimented commitment. Your alternatives are all poor. Just do it. Referral sales are the best natural high on the planet! The referrals are an uplift for everyone involved. It cuts down shopping, they are easier to do business with, they pay all the money, and make flattering CSI remarks. These referral sales create a devotion and passion for your vocation. The highest complement you can receive in the sales industry is to have the same owner repeatedly purchase from you. 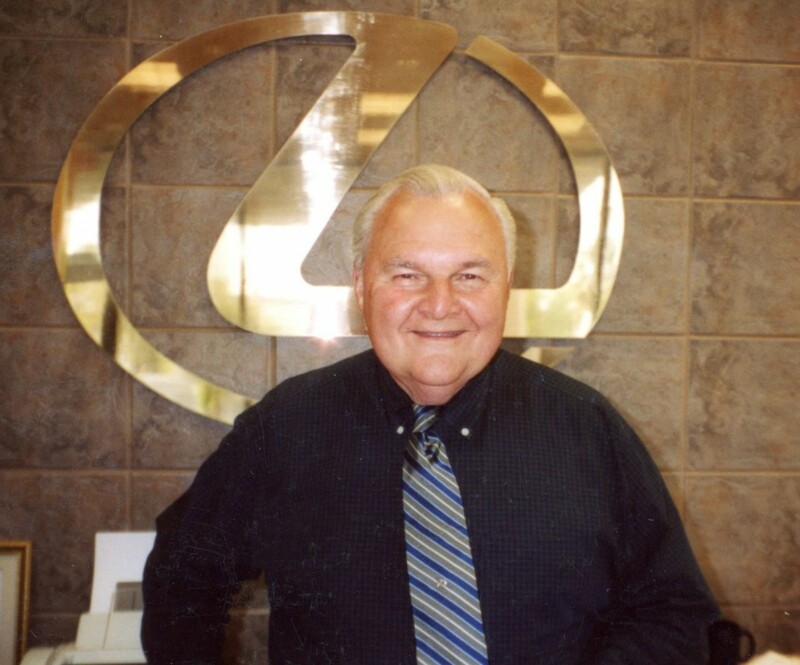 I had a husband and wife team at Germain Lexus in Naples Florida who purchased four different vehicles. They purchased in 2002 two new Lexus vehicles, one for him and one for her, and two pre-owned vehicles for their family. One of the strongest sources of referrals is your personal form of contact. 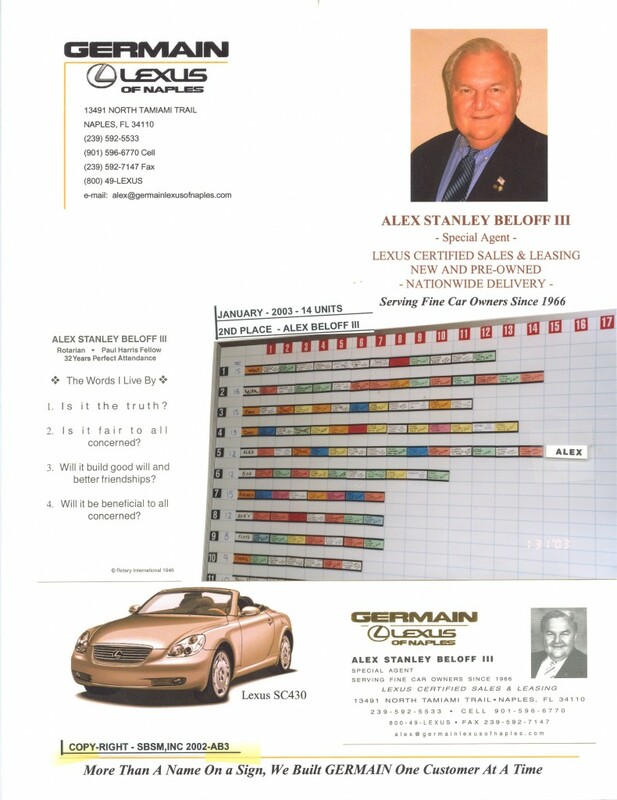 Ernie Tex Pritchard of Control Inc. Dallas Texas (now deceased) said in writing, Alex Beloff is the best follow up man in America. What you are about to discover is that with the right type of personalized timely mail pieces (which is almost an art form) will feature YOU and your company in that order. The two of you are linked. During my entire career, over 75% of my sales were the result of highly effective follow up efforts, repeat customers and referral sales. Find out how Alex maintained 100% customer satisfaction index! You cannot build a business with unhappy owners.